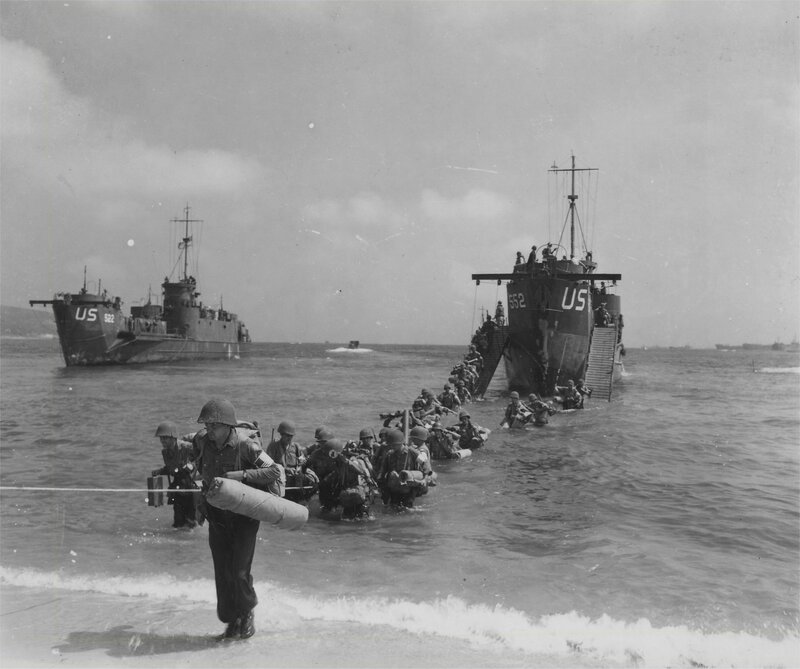 Laid down, 18 November 1943, at New Jersey Shipbuilding Corp., Barber, N.J.
951k Assault troops from the 45th Division come ashore from USS LCI(L)-522 and storm through breach in an enemy defense wall, on an invasion beach near Ste. 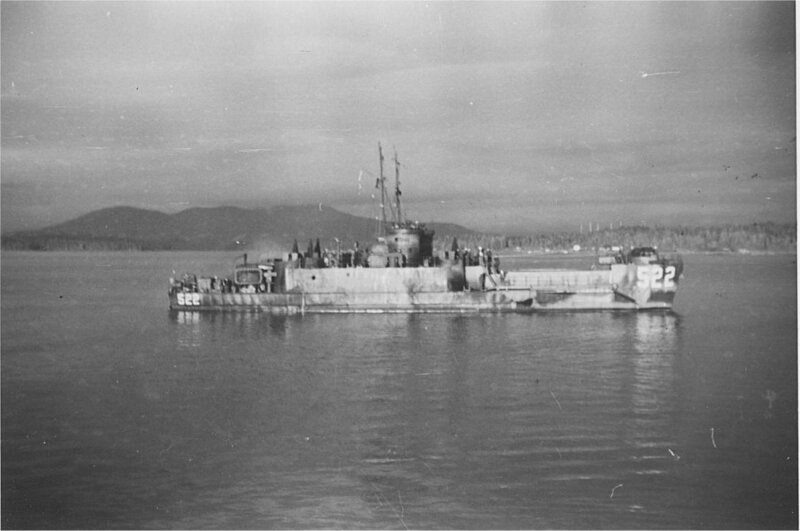 Maxime, on "D-Day" 15 August 1944. The wall, eight feet high, made of concrete and steel was blasted open by assault engineers. 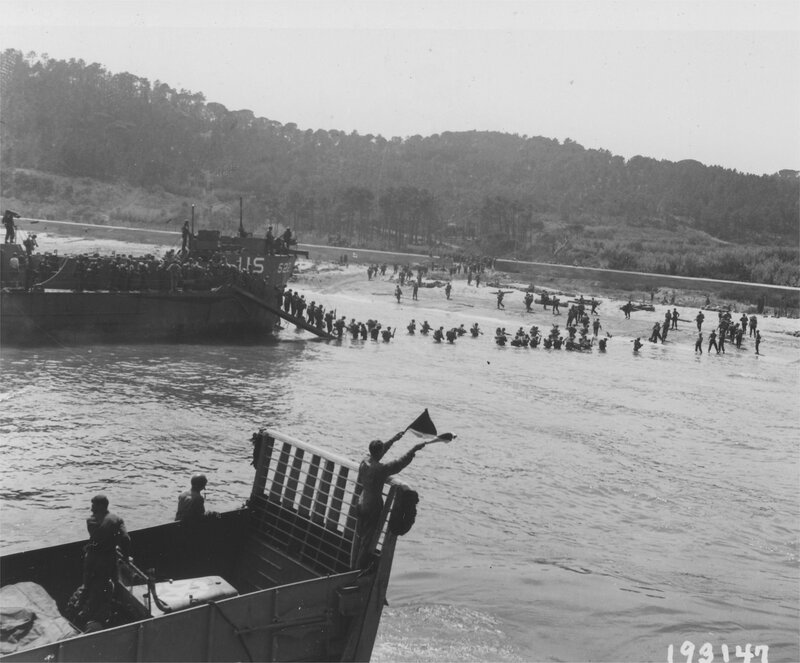 1583k USS LCI(L)-522 and USS LCI(L)-552 landing troops of the US Army 45th Division during the Invasion of Southern France, near Ste. Maxime, on "D-Day" 15 August 1944.